Car Dealer Oakville – Budds’ BMW Oakville. Searching for new cars can be a long and sometimes inconvenient process. Trying to make sure you are not getting ripped off by shady car dealerships sometimes takes president over taking the time to look for that car you have always been wanting. Budds’ BMW Oakville wants your car shopping experience to be a successful and trustworthy one, and that is why we pride ourself on being a trusted and reputable car dealer Oakville. Our staff is dedicated to getting our client behind the wheel of their dream vehicles, and our inventory of exceptional driving machines is huge. Budds’ BMW Oakville does not just sell high quality vehicles, we deliver our customers with extraordinary automotive experiences. As a ca dealer Oakville, we know how important it is to find a vehicle that you can take pride in being behind the wheel of, and we can provide that for you. What Makes a Good Car Dealer Oakville? The auto industry requires men and women who are passionate about the vehicle they are building and selling. A dealership may be highly reputable and have a showroom full of award winning cars, but if the representatives are not motivated to sell and give quality customer service, the dealership will not be able to compete. Budds’ BMW Oakville does not have this problem because all of our associates are passionate about BMW vehicles. 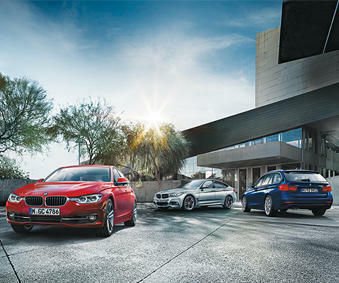 Budds’ BMW Oakville is home to some world class vehicles and the quality of our vehicles are unparallelled. To maintain and grow in the auto industry, automakers are constantly improving and innovating with new technology, improved safety features, fuel efficient engines, aerodynamic outer frames, alternative power systems, and advanced on-board electronics. If you are looking for vehicles that include all of these features, Budds’ BMW Oakville should be your first choice car dealer Oakville. This is probably one of the most powerful characteristics of a successful car dealer Oakville. Our representative are dedicated to providing our customers with the highest quality customer service from the moment you step foot into the dealership. We pride ourselves on getting our customer’s behind the wheel of their desired BMW vehicle in the most cost effective way. Our customer service combined with our inventory of world class vehicles is the reason that Budds’ BMW Oakville is known as a very reputable and trustworthy car dealer Oakville. If you would like more information about the vehicles and services that Budds’ BMW Oakville provides, please feel free to contact us via phone or email. You can also visit our website to check out our online inventory of high quality new and used BMW vehicles.